Ummm, so this organic smoothie is one with a super strong taste thanks to the arugula. However, I find it quite pleasing. 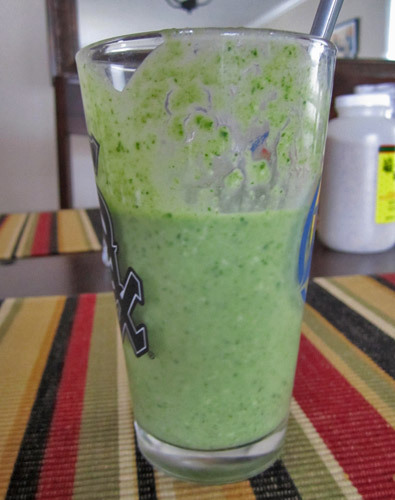 For something on the more mild side, check out this smoothie recipe here. Whip this up, and voila! You’ll have a super packed nutritional smoothie, perfect for jump starting your day or as an afternoon pick-me-up. A Peanut Butter Arugula Banana Smoothie is delicious!